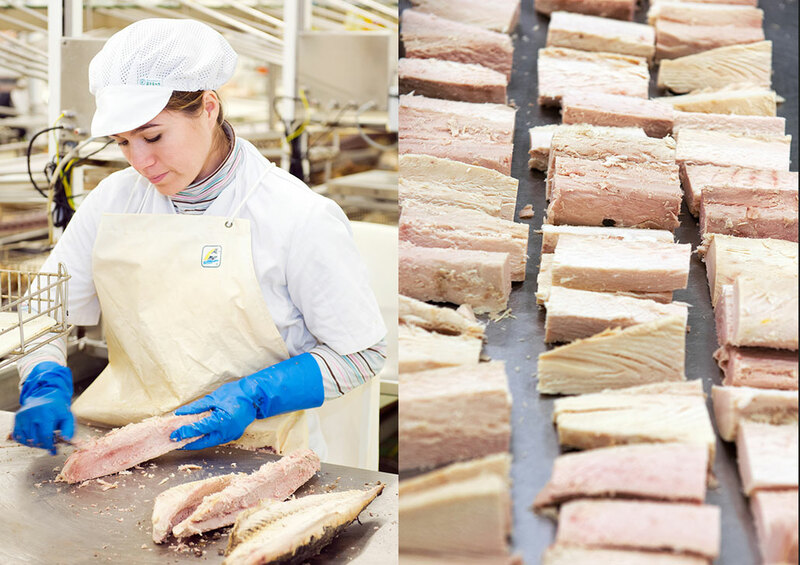 We receive the pieces of Bonito del Norte White Tuna and Yellowfin Tuna at our facilities in Bermeo. 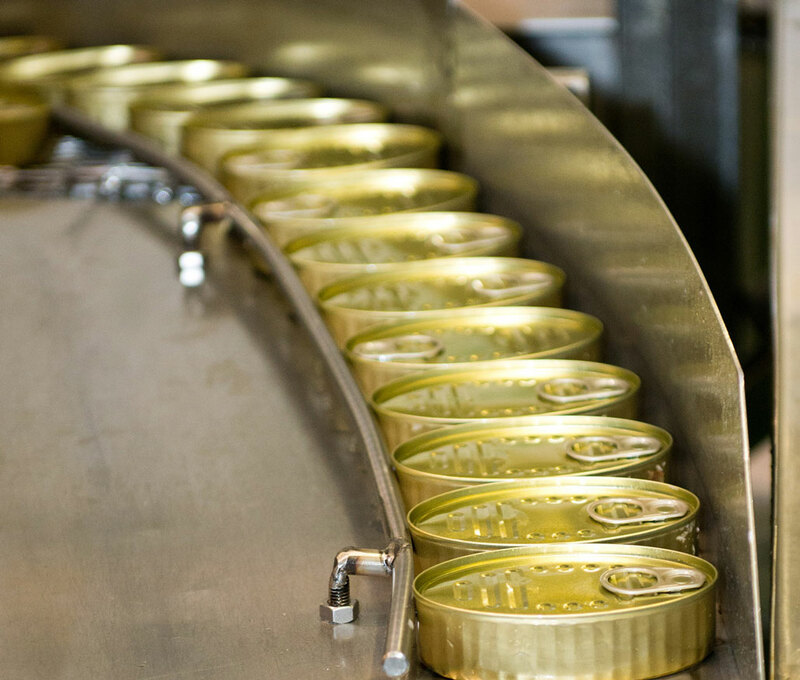 We also have the additional raw materials necessary for the production of canned fish (oil, brine, vinegar, etc…) and, of course, the containers, labels, and packaging we need for distribution. Upon receiving the fish, the belly is removed. 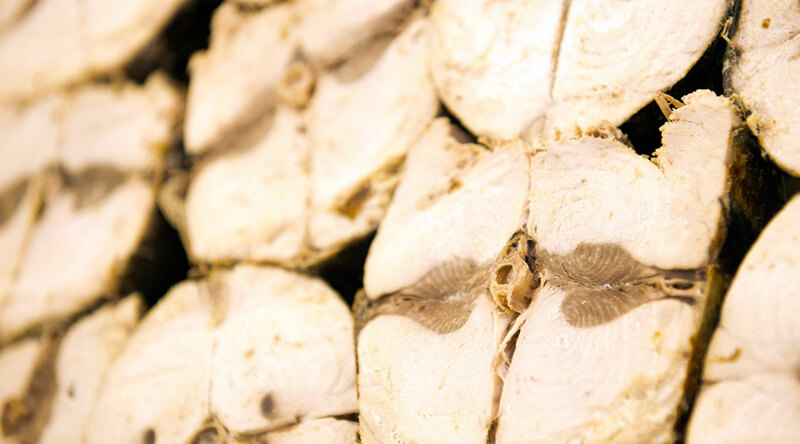 Then, depending on the size we are working with, we will leave the fish whole or cut it into sections. When cooking, we add the perfect mix of water and brine and calculate the time it takes each fish to cook since it varies depending on whether it is whole fish, sliced, or belly. When finished cooking, the racks are stacked in an area near the cooking area for further cooling. 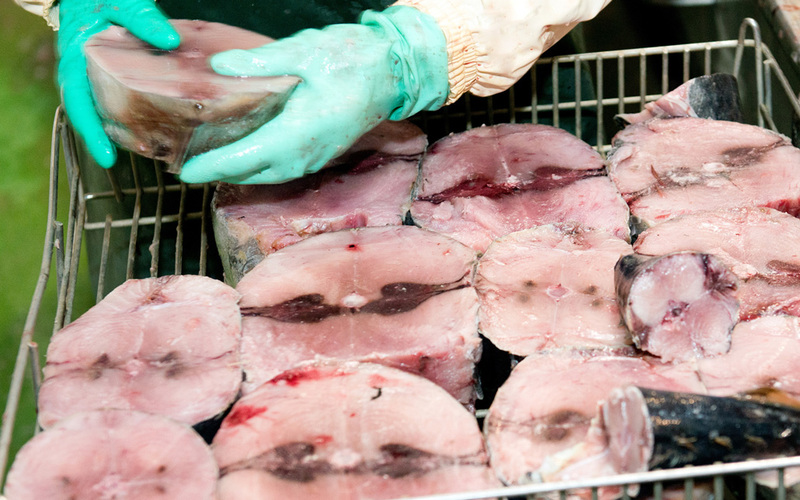 First we clean the whole pieces and slices and remove the skin, bones, fins, and any remaining entrails or dark meat. 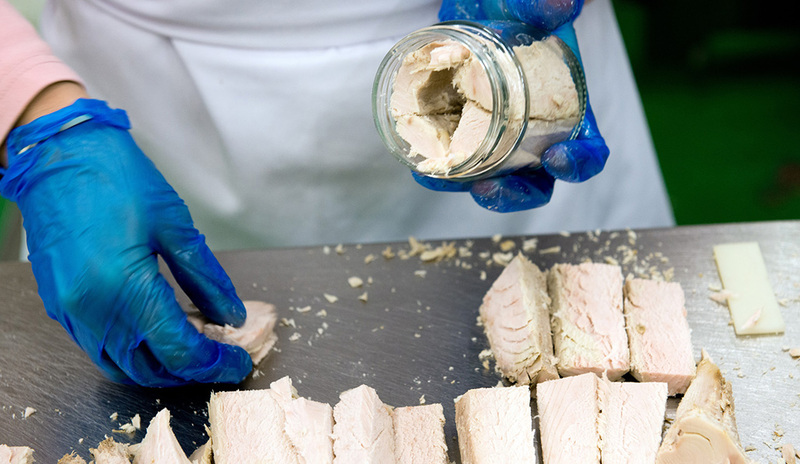 The fillets are then cut for subsequent packaging. Once parts have been cleaned, they are then manually packaged, the sauces are prepared and the liquids to cover them are added: oil, brine, or Catalan sauce. The temperatures and sterilization times are standardized by the company and vary depending on the sizes, products, and packing liquids that are to be sterilized. they are rapidly cooled via overpressure to avoid any deformations in the containers.